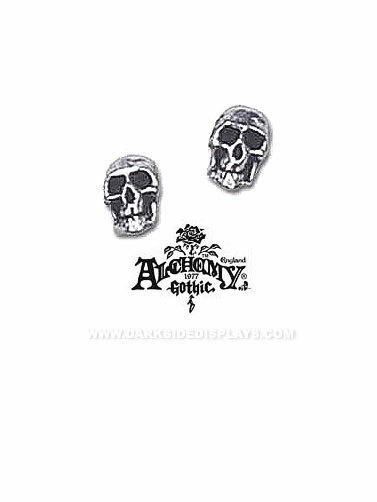 Alchemy Gothic™ Ball Skull Stud Earrings are small in size but reveal the face of death. Perfect for Halloween and a nice look for everyday wear. Handcrafted pewter creation by Alchemy of England. For pierced ears. Earrings measure .25." Often sold as singles, we offer these as a pair.